Safely cleans both ship decks and paint. Better Than a Brush for cleaning wheels. When a clean surface and saving money are important, Put The B.O.S.S® to work for you! 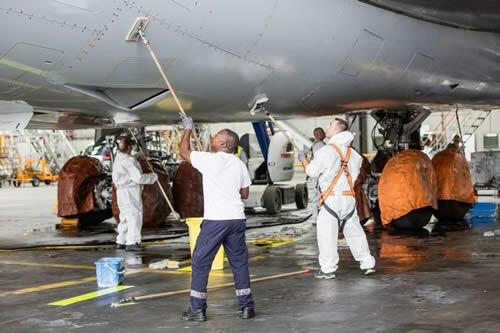 Founded in 1996, Awesome Products Corp. is an SBA certified veteran owned business providing the finest, most effective cleaning products for aircraft, ships, boats, cars, trucks, and RV’s. Awesome Products Corp. has maintained a perfect rating with the Better Business Bureau, has 1 patent issued so far, owns 5 registered trade marks, and has 22 years of fully satisfied customers. We manufacture all our product here in the USA according to our exacting standards. Copyright © 2011 - 2019 Awesome Products Corp. All Rights Reserved.